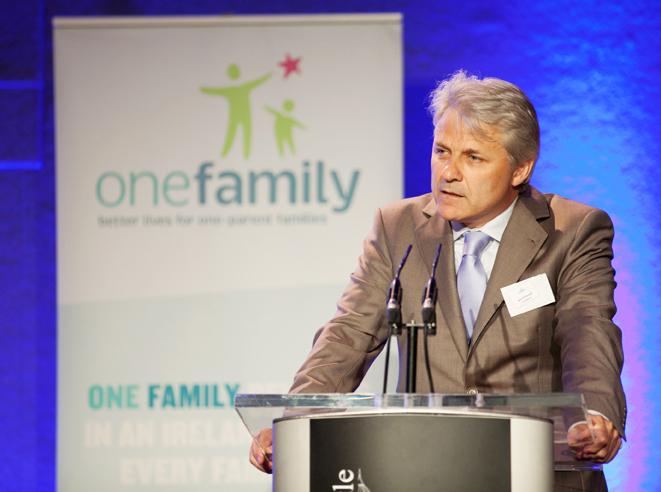 The Chair of One Family’s Board, John O’Connell, retires today by rotation following eight years of service. John joined our Board in 2008 and has been Chair since 2012. As a voluntary Board member, as are all of One Family’s Board members, John has been extraordinarily generous, contributing hundreds of hours of unpaid time and effort to the organisation. He has shared his professional expertise, strategic thinking and invaluable insight as a governance expert; and also his compassion, empathy and understanding, having himself been born in a Mother and Baby home, and raised in a one-parent family. We thank John for his guidance and his governance. We thank him for supporting us to serve and represent our clients, and to impact positively for change in our society. His devotion and energy will be missed. We wish him happiness in the future. At this time too, we are pleased to welcome Iseult White – who joined our Board in 2013 – as incoming Chair.